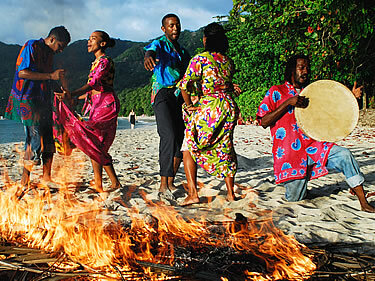 Although Mahe is the largest islands of the Seychelles, it is paradoxically the least known. Yet Mahe offers some enriching experiences for those travellers who are able to understand and love it. 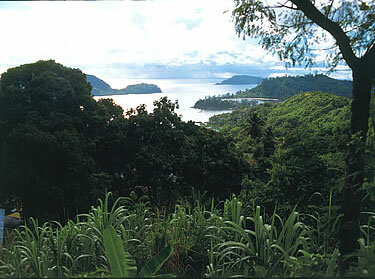 The landscape and vegetation of the southern part of Mahe are still unspoiled. This area has the most beautiful deserted beaches skirting underwater gardens which will leave you with unforgettable memories. The Seychelles are the ideal place for swimming, sunbathing on deserted beaches and romantic walks in a heavenly setting! Seychelles and Mahe underwater: no need to dive deep. Snorkelling is a great experience. Mahe, with an area of 150 sq.km., is the largest island of the Seychelles. Morne Seychellois, with a peak rising to 905 metres, also makes it the highest. There are many places in Mahe worth exploring. In the North, explore Victoria, the capital of Seychelles, with its well-known port and clock tower, an exact replica of Big Ben. Mahe is an excellent basis to hop to other islands. Here a twin otter taking off to Praslin. Most of the population of the Seychelles live on the island of Mahe. This is why it is the showcase of the archipelago's lively Creole culture and its colourful history. A professional guide can show you the multitude of Mahe's hidden treasures..
Information and maps of paths can be obtained from the Tourist Office in Victoria. Remember to pack comfortable walking shoes and a hat to protect you from the sun. Bring along a water flask so that you can drink frequently. It is advisable not to walk alone but in the company of friends. for walkers in search of new surprises. You will often find yourself walking alone along the marked mountain paths that cross a grandiose landscape in the heart of a pristine environment. The market in Victoria. The delicious Creole cuisine is based on fish and a wide variety of exotic vegetables, fruit and spices which simply must be sampled when you are in the Seychelles. 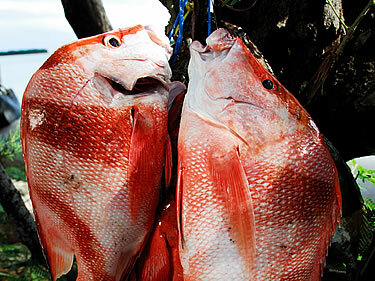 The Red Snapper (Bourgeois), maybe the most famous and delicious fish in this part of the Indian Ocean. The temperature in the Seychelles does not vary much. Climate, seasons and temperatures ... The weather in the Seychelles is tropical and humid. From May to October, the wind blows regularly from south to east, bringing a dryer climate and slightly cooler temperature. From December to March, it is the southern summer with north-west winds and a more humid climate. However, the weather is pleasant in all seasons, never too cool or too hot. Advice: when it rains, just hop along to the other side of the island, you are sure to find sunnier weather only a few kilometres away. Anse la Mouche has clear and calm sea, sheltered from the wind, most of the time. Strangely enough the month of June seems to be low season even though the weather is usually fine. So why not choose this month for your holiday? The "coolest" temperature in seychelles is in July and August, at 28°C. March, May and November are the hottest months, with an average of 32°C. 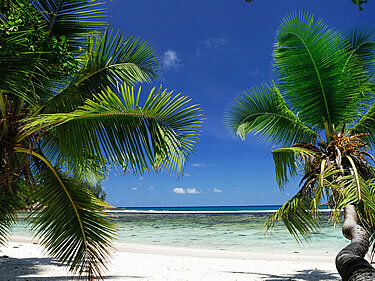 Seychelles sea temperature: from 27° to 29°C (you have read correctly, it is not a typing error!). La Residence accommodation (studios and family villas) and even our large luxury villa at Beauvallon can be rented at very reasonable rates. It is a convenient formula which proves that the Seychelles are now within the reach of many travellers. The delicious Seychelles Creole cuisine is based on fish and a wide variety of exotic vegetables, fruit and spices which simply must be sampled when you are in the Seychelles. Most restaurants regularly serve Creole buffets. Those who like fish will be in for some very pleasant surprises. There are many restaurants in Mahe, some of them excellent. Do not hesitate to try the Creole "take-away" menus, they are usually delicious Creole specialities and offer good value for money, apart from being a convenient formula for visitors staying in guest houses. A visa is not required for nationals of most European countries. A valid passport and return ticket are usually sufficient in most cases. Upon arrival, you will be required to indicate the address of where you will be staying, so before your departure. The official currency is the Seychelles Rupee. Mastercard and Visa credit cards are widely accepted. You can also withdraw money from cash distributors. 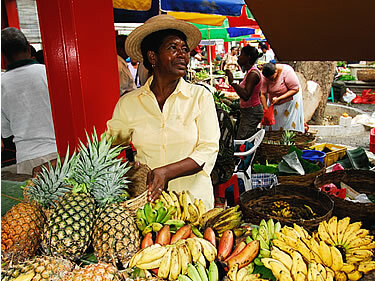 Most consumption goods have to be imported, which explains why shopping can be fairly expensive in the Seychelles. Duty-free at the airport: Only foreign currency is accepted. Mahe has frequent and regular bus services. There are many taxis. La Residence offers excellent value for money car rental. A valid national driving license is required for renting a car. Driving is on the left hand side of the road. There is a daily service between Mahe, Praslin and La Digue. 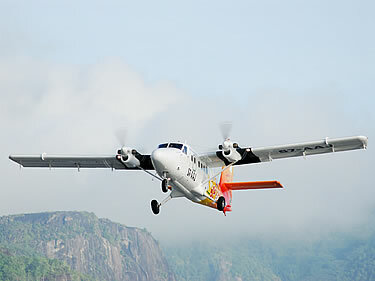 Air Seychelles provides air links between the main islands of the archipelago. Mahe and Praslin are linked by many scheduled daily flights. The other islands are served by flights chartered by the hotels. Mahe landscapes are spectacular. 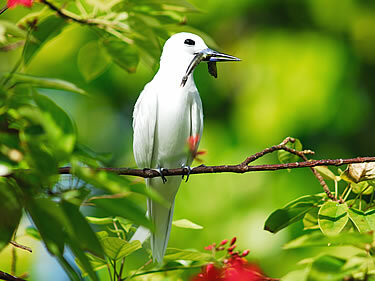 Beautiful birds are all over in Seychelles.